Imphal, October 14: Chief minister Nongthombam Biren Singh has expressed his happiness to the people of the state at the approval of JNIMS increase the MBBS seats from 100 to 150 by the medical Councl of India, and for giving an additional grant of Rs. 60 crore to JNIMS Hospital. Showing his gratitude to Prime Minister Narendra Modi and union health minister JP Nadda for the approval, Biren Singh posted the message on his Facebook page, today. 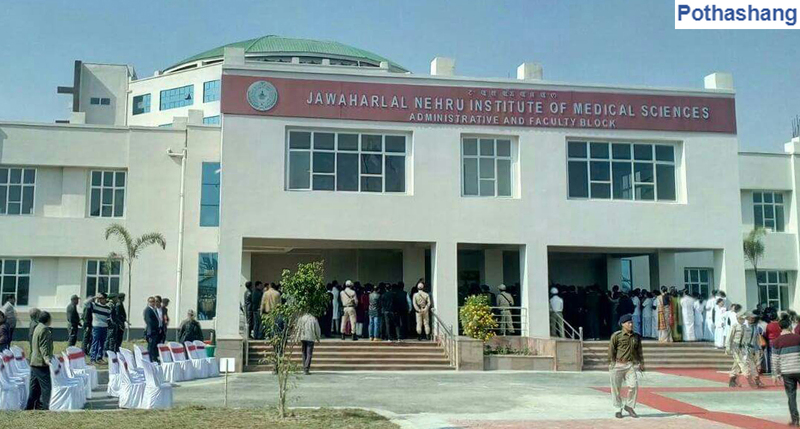 The JNIMS medical college was established in 2010 under the initiative of state government of Manipur. Jawaharlal Nehru Institute of Medical Sciences has been imparting MBBS course in the region. The college is affiliated to Manipur University, Imphal, to conduct the course. The college was approved by the Medical Council of India for the medical course. Recognition for 100 MMBS seats was granted on 17th April, 2015 by the ministry of health and Family Welfare. Is this really true and if so when will the actual implementation of 150 ug seats be considered?